1. The US Court of Appeals for the Tenth Circuit courtroom in the Robert Dole Courthouse in Kansas City, Kansas is convenient to witnesses the prosecuting witness Stewart A. Webb plans to call for the purpose of presenting eye-witness testimony and documentary evidence in support of bringing to justice the perpetrators of the ongoing criminal scheme identified in the prosecuting witness Stewart A. Webb’s request for a grand jury. 2. The Robert Dole Courthouse in Kansas City, Kansas is a situs and facility that is suitable for usage by the Jury. 3. The Kansas District Court is convenient to newly discovered witnesses to the ongoing Millman Syndicate securitization of fraudulent mortgages including witnesses to the affairs of the Kansas farmer Loring Nelson in Saline and Lincoln Counties of the State of Kansas that led to banks in Bennington and Tescott Kansas associated with what is now Alliance Bank in Topeka, Kansas participating in the securitization of fraudulent non performing mortgages that resulted in the collapse of the Bush Family savings and loan Silverado and that also precipitated the criminal conduct and extra judicial influence resulting in Obstruction of Justice in the United States Judicial Branch and Extortion of members of both houses of the US Congress described in the prosecuting witness’s Stewart A. Webb’s request for a grand jury and continues now in what recently has been described as racketeering schemes attributed in the popular press to Bernard L. Madoff , Sir Allen Stanford and A.I.G. 4. 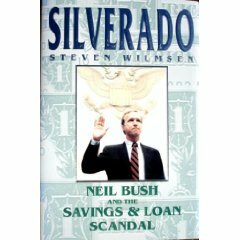 At the beginning of the time period covered by the Grand Jury request a Salina, Kansas Credit Union was found to have been participating in frauds against the interest of the US Treasury through a scheme with Silverado to rec-ollateralize nonperforming and fraudulent debt obligations and to exchange them with a Minnesota bank which would then launder the securities through a Manhattan, Kansas bank. 5. The Kansas District Court is also convenient to newly discovered witnesses to the ongoing Millman Syndicate securitization of fraudulent mortgages including witnesses to the affairs of the Kansas farmer Dwayne Melius and a landing strip at a Kansas hog farm being regularly used to import illegal narcotics as bribery funds to corrupt Kansas state officials and to frauds against the US Treasury in the systematic foreclosure of federal government guaranteed farm mortgages mandated by the Millman Syndicate’s practice of securing two and three parallel fraudulent mortgages guaranteed by the federal government on the same farmer’s property. 6. 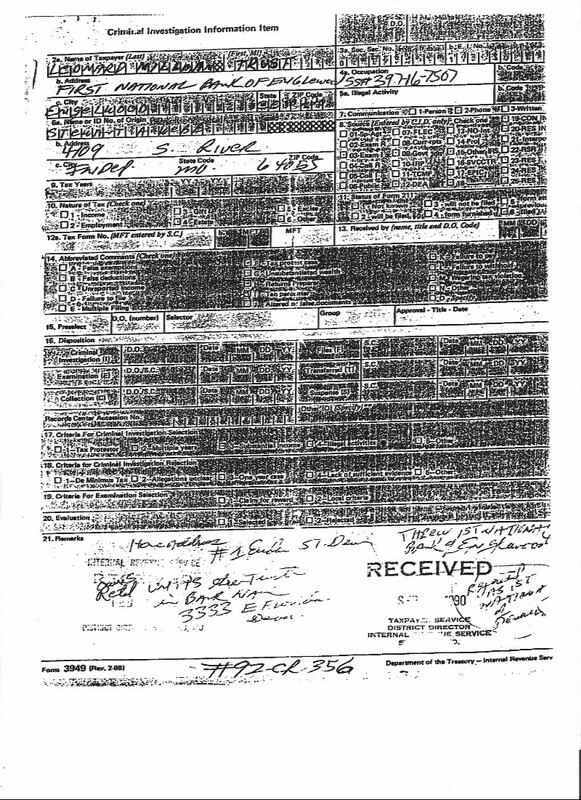 The Kansas District Court is also convenient to later discovered witnesses to the ongoing Millman Syndicate’s bribery and extortion of public officials including the prospective prosecuting witness Stewart Webb who has information and documentation on how the Millman Syndicate bribed and extorted public officials and unlawfully removed property and funds from Enron through previously concealed fraud that injured government employees and caused the loss of retirement funds invested in the corporation that can still be identified and recovered. Pursuant to D.C.COLO.LCivR 5.1, this cover sheet must be submitted with any facsimile filing. A pleading or paper not requiring a filing fee and no longer than ten pages, including all attachments, may be filed with the clerk by means of facsimile during a business day. Facsimiles received by the clerk 5:00 p.m. (Mountain Time) will be considered filed as of the next business day. I have studied the current USDOJ Grand Jury Manual and made arrangements for numerous present and former government officials who are witnesses to the continuing Millman Criminal Enterprise misconduct described in my request for a Grand Jury to voluntarily testify at their own expense. The continuing nature of the federal criminal violations and recent actions by the defendants ensure the indictable offenses would be within the statutes of limitations. I anticipate having a detailed memorandum completed by September 22nd summarizing the companies, individuals, industries, frauds and transactions currently provable by testimony and documentary evidence showing the conduct continued within the limitations period of RICO (18 U.S.C. § 1961). Please find the enclosed chambers copy of the Motion to Transfer Grand Jury Situs in the above captioned case. Please find the enclosed Motion to Transfer Grand Jury Situs in the above captioned case. I have also included your required fax cover sheet form. Grand Jury Demand Aug 4 2004. Inside The Bush Crime Family Part1. 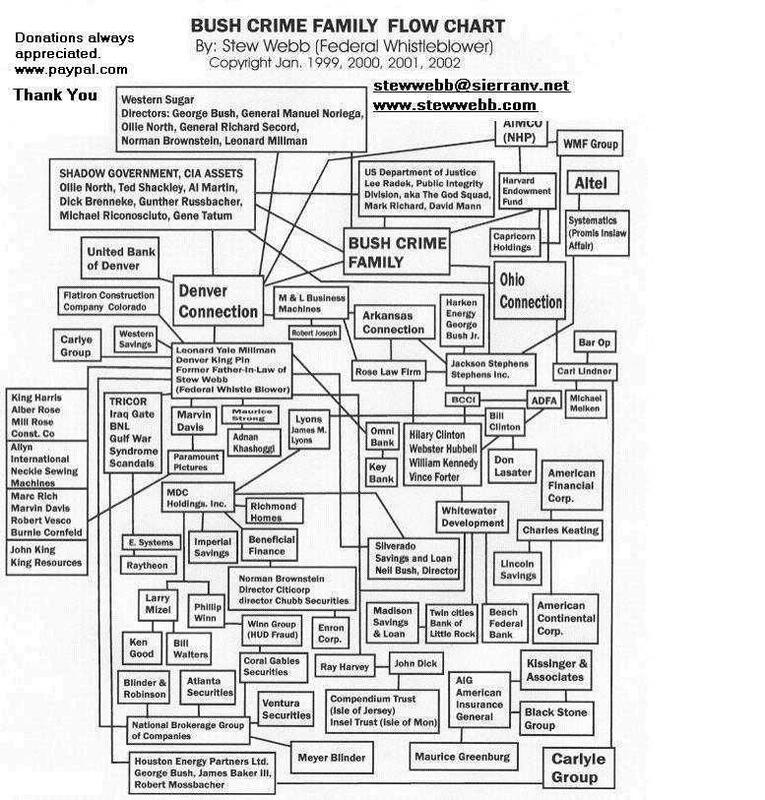 Inside The Bush Crime Family Part2.